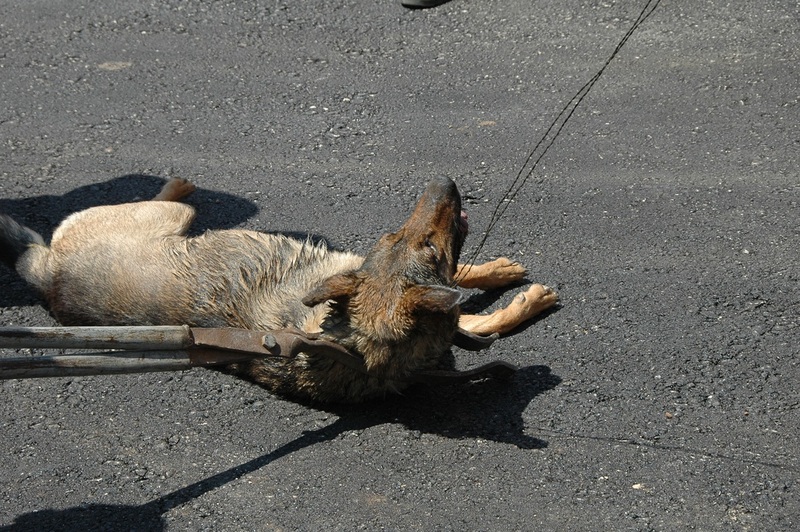 The situation in Bosnia and Herzegovina is not unique in Eastern Europe - again, people have to witness the terrible and cruel situation that homeless animals are forced to endure. Dogs and cats that people do not take care of, and governments that do not legislate neutering coercion - instead choose the country to torment the animals. - those who have not done anything wrong. Not only ordinary citizens neglect and abandon the animals - but also the country's politicians - captivates, neglect, starving and abandon dogs and cats in public shelters. Apparently, it is a large need in Bosnia & Herzegovina for politicians with knowledge of the animal's needs and who can implement the existing laws to prevent the births of unwanted animals - Holders of pets must ensure control of reproduction of animals under their supervision. It is also needed stricter rules, laws and punishments in Bosnia and Herzegovina for people who abandon, neglect, are cruel or do not look after and care for their animals. “There is a dog pound in another municipality that is really not better than Hreša and they kill anywhere from 30-80 dogs there every month. As of two weeks ago communal/municipal police banned activists from entering the dog pound and helping dogs there and they ordered that at least 30 dogs should be “euthanized” there every month. Dog pounds are used to launder money from public budgets and they don’t want activists to poke around and witness how dogs are mistreated or abused at the dog pounds that they dare to call dog asylums/shelters. Most government enclosures are located in the countryside, in rural areas - many citizens do not even know that they exist. 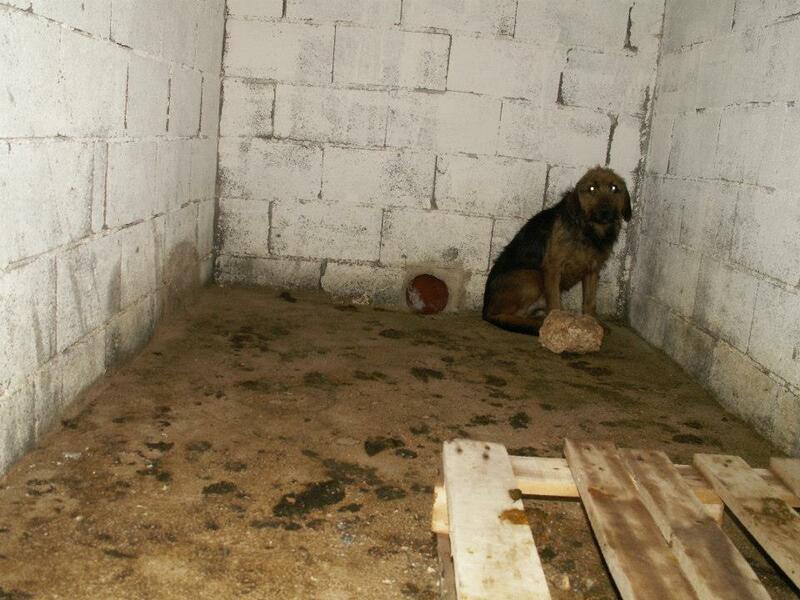 Showing a large enclosures in Tuzla with stray dogs (2009) - the situation is the same today. 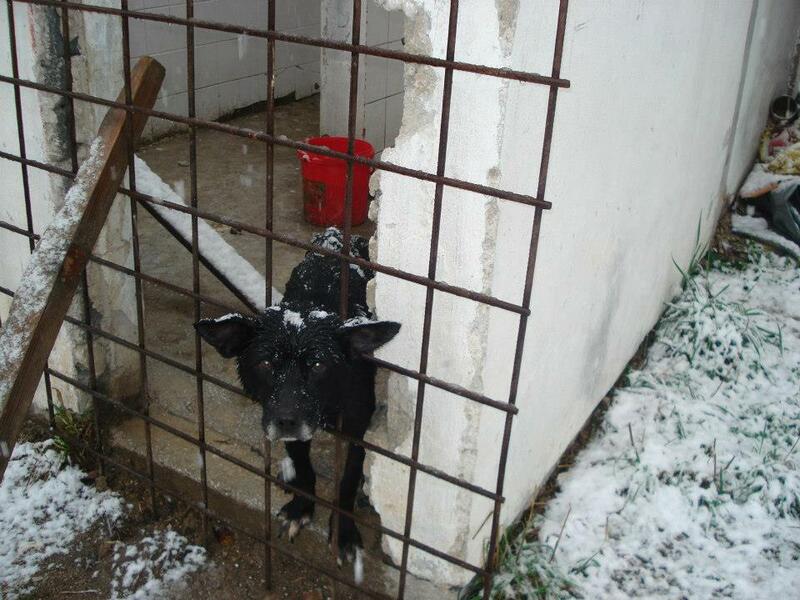 In the case of the shelter in Hreša Jelena Paunović of Život BiH and other activists were not only prevented from taking a severely emaciated, suffering dog to veterinary care (see photograph above) but were violently threatened by the shelter manager. A Serbian friend who wishes to remain anonymous has stated she heard money had been stolen from the Hreša shelter funds during financial pre-election manoeuvres. The images from the state dog shelter in Banja Luka (below), the second largest city in Bosnia and Herzegovina - show dogs that were killed by injections of bleach and a dog killed by other dogs and dead dogs left amongst the living. Municipal asylum is located on city's landfill where trucks bring big piles of garbage every day. Poor dogs that are outside the cages are forced to look for some food on bunch of junk and those who are inside the cages get a piece of an old bread if workers take pity on them. They even declared that they do not want to feed them so the dogs will less poop and pee, therefore they do not have much to clean. That old and dry bread they throw often ends up in dog's feces because workers will not even look where they throw it. The dogs rarely get water inside the boxes but when they pour some, it is mostly brown and full of dirt. Dog houses are small so bigger dogs can not enter at all, they stay on cold, wet and dirty concrete. Workers do not walk dogs. Many dogs have not stepped out of boxes since asylum opened six months ago. Some dogs managed to run away, some of them only disappeared and it would not surprise us that they killed them. For little puppies the food is problem because they also get big pieces of an old bread so they are hungry and starving all the time. Every day puppies are dying of hunger and disease. Dogs do not get any medications and are not treated at all. Everytime we go there we find dead dogs, torn dogs and dogs eating each other because there is no food. Our organization is desperate because we cannot do anything, when we want to go to the asylum we have to call them and ask for permission. 16.04.2013 - The director of animal shelters Spark in Praca, Amela Turalić, was fired from her job. The dogs were fed with moldy and rotten food and meat offal as well as chocolate plasma which had expired, Other food at the shelter - In refrigerators where food is such a condition that it can not be photographed. Dead dogs found around the shelter - Bodies of dogs can still be found "said an eyewitness. 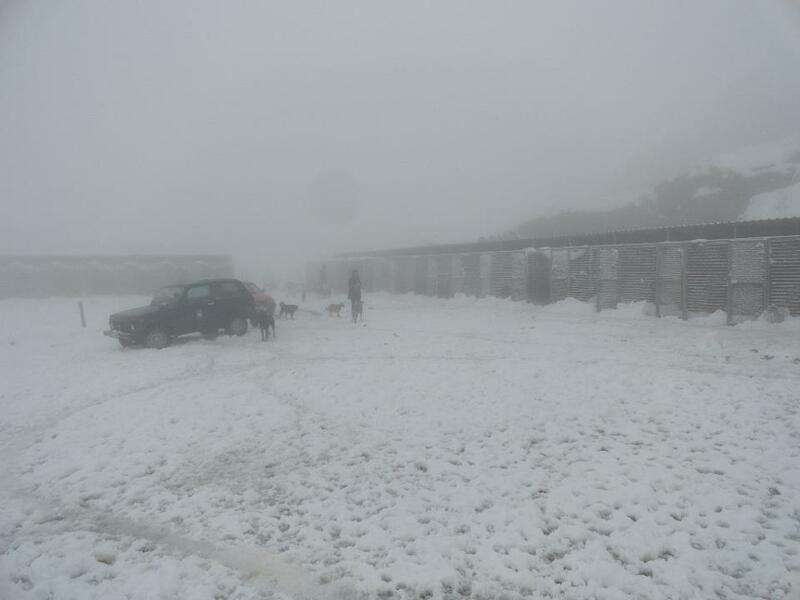 Turalić was fired after being called and informed and Muris Alic, owner of Murai Commerce, which has built the shelter, one of three co-shelters. He sent his director, who was horrified over what he saw. 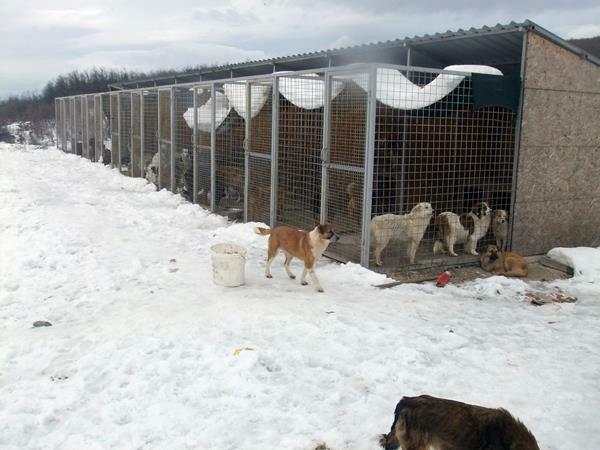 They agreed that Turalić should be fired and immediately be removed from the shelters, and the government temporarily took over the co-owners. During the day will be a meeting where they will decide what next to do. Co-owners in shelters Praca, Elmedina Devlić Mirza Devlić, called Sarajevo animal lovers to come to the Praca and see the situation. Another problem is that some shelter have too many dogs like this and many are also running freely outside the fences - dogs that hunters kill in masses. Even in this shelter and a group of villagers and police came to complain about the attacking dogs who killed their livestock, and any other threat to the villagers. I understand them. A sheep cost one hundred euro, and it is a lot of money. It will be decided who will take over the management said Elmedina Devlić, partner and chairman of the Association of Shelter Spark.